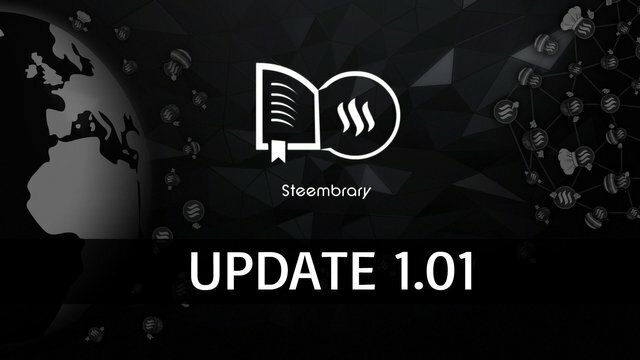 Steembrary UPDATE 1.01 is live! First of all I would like to thank you for supporting Steembrary! With your help, our creators can get recognized and that's great for all of us . We will get more useful files for Steemit to use if we continue to support our Steembrary creators. Our community has started to grow slowly. We want Steembrary to become the best website with useful files on Steemit. However in today's update 1.01, I'm presenting you GIF's. 8 new GIF's came out today, which can be seen below and they are ready to use. More GIF's will be released with new update next week, so I want you to comment below what GIF's would you like to have and which ones are the best to use. You can use GIF's as Steembraryan, meaning: you are the member on Steembrary and you are supporting creator. At the moment, the best way of checking the site is on the computer. You can also use the site on mobile, but you can't login into a member site with it yet (working on it). Huge thanks for everyone, that are supporting Steembrary- The library you need. Dont' forget to upvote/resteem! Have a nice day! @steembrary, tvoja objava je dobila 100% upvote od @teamslovenia!